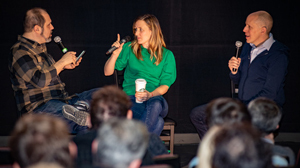 The Northwest Screenwriters Guild helps screenwriters connect with producers, with special and recurring events and workshops designed to help you pitch your projects and increase industry access. 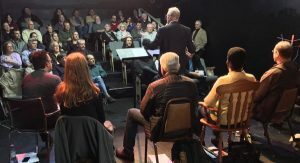 Our SOLD OUT Scriptnotes Live! event kicks off a full year of engaging programming. 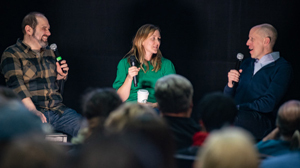 Our Compendium-level members get the opportunity to pitch to visiting producers. Northwest Screenwriters Guild members, let us know if you have something to add.